As regular viewers may or may not have come to realise, my 2011 book Making is Connecting was the one where I said all my best stuff. Nowadays if I think of the book I’d really like to write, it’s Making is Connecting basically, but I’ve done that already. One day I want to re-do Making is Connecting, put in new stuff, and take out the boring bits, and so Making is Connecting – Remade Edition, as it may or may not be called, really will be my ultimate book, and I’ll be able to give up trying to do anything better. Meanwhile, though, in archaeology news, I just unearthed the original beginning of Making is Connecting. I say ‘original’ but what I mean is, this is the beginning that the book was going to have, until I deleted it just before finalising the whole manuscript. This opening section was actually one of the last parts that I wrote. I was quite pleased with it, but I asked one friend to read the whole manuscript, and he said mostly nice things, but he really didn’t like this beginning, which he said meant that the whole thing took too long to get going. Much better, he said, to start with the bit that actually just tells you what the book is about. This seemed a bit disappointing, but I was mindful of the fact that you should cut things that get in the way, and that an author is often a poor judge of their own stuff, and it’s the bits you like best yourself that might be least appealing to others. So I got rid of it. Now, in February 2014, I was thinking about William Morris and Martin Creed – I often think about William Morris, and Martin Creed has a new exhibition at the Hayward Gallery in London – and I remembered that Making is Connecting had once had a beginning section that featured William Morris and Martin Creed. You can download the piece here. 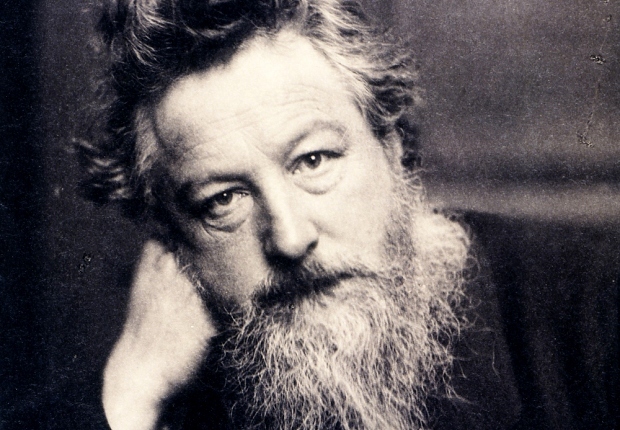 It begins with William Morris, aged 9, riding on a horse and wearing toy armour. It carries on, and we see Morris 40 years later, successful but somewhat depressed. You’ll have to read the piece to find out why, but I was glad to see that I’d got some good William Morris stuff in there. Soon after that bit, we shift focus to Martin Creed, who also works hard and likes to make things, but is feeling worried about his success. We consider him worrying, and making, and trying to connect. I won’t try to summarise any more of it, as it’s only about three pages long anyway. But I’m glad I dug it out and I hope you like it. Here’s the link again: you can download the piece here.